Could You Live with the Bernese Mountain Dog Temperament? Can You Live with the Bernese Mountain Dog Temperament and Personality? While at first you may be intimidated by his size, the gentle Bernese Mountain Dog temperament will win you over. 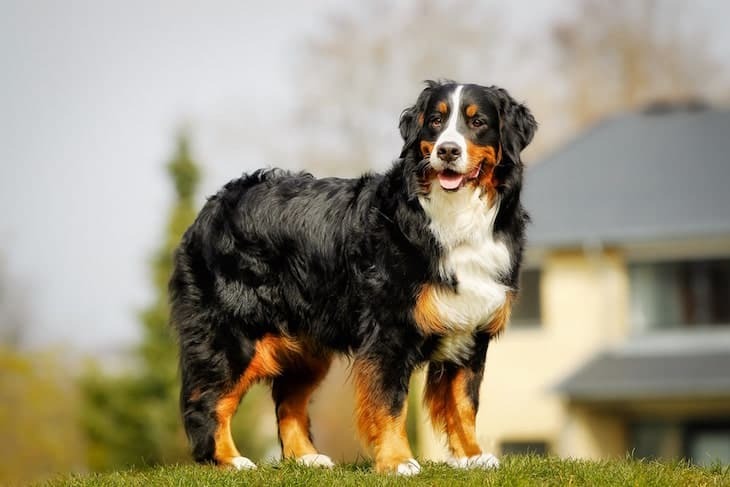 Getting to know the temperament of the Bernese Mountain Dog should be the first step you take to determine if this is the best dog breed for you. 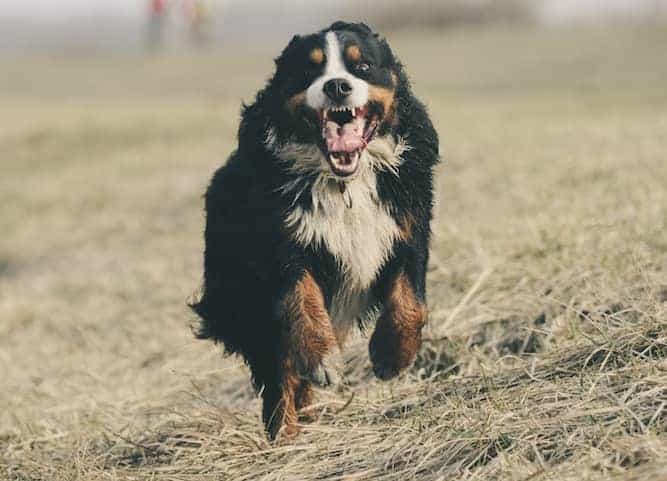 The following will explore the good and not so good temperament traits and behaviors you should expect from a Bernese Mountain Dog. These impressive dogs originated in Switzerland, where they worked around the farm herding sheep, pulling carts and guarding the farmer's property. Farmers originally used the Bernese Mountain Dog as guard dogs and to drive dairy cattle over long distances from the farm to the pastures. 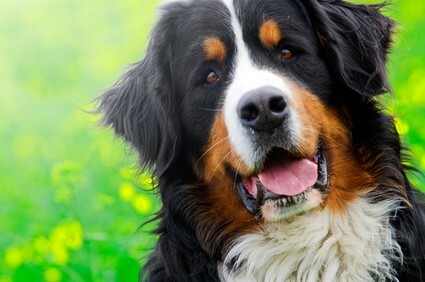 In the U.S., the Bernese has been growing in popularity over the past five years or so. They are also very popular as family dogs in German-speaking countries. The Berner is a sweet and gentle dog, and very loyal to his owner. Their soft affectionate nature also makes them popular as therapy dogs. He is particularly good around children, but wouldn't recommend him for households with very young children. Of all the different dog temperaments you could have, that of the Berner is perfect for families but his sheer size can cause accidental injuries in small people. Stemming from its historic roots the Bernese Mountain Dog still has that urge to work even when he is living in suburbia. If you can give him the opportunity to pull a cart either around your yard or at an organized carting event, he will be a happy dog. In spite of his good nature, there are some things to watch with this breed of dog's temperament, which can lead to annoying behaviors. Being a large breed, the Bernese Mountain Dog temperament takes longer to mature. Puppies of any breed will usually try to jump up on you for cuddles, and your Bernese is no exception. However, if he continues to do this as he grows, he will knock you over. This is why you must train your Bernese Mountain Dog from puppyhood. Some of those cute puppy behaviors won't be pleasant when he is a fully grown adult. There just won't be room on the couch for both of you! Basic obedience training is recommended for any breed of dog, but particularly so for intelligent Bernese Mountain Dog's temperament. He will enjoy the mental challenge and will be less likely to turn his mind to activities that won't please you. This dog's temperament is naturally cautious and reserved, particularly with people he doesn't know. In extreme cases, he can become timid and suspicious. This is not desirable in any dog, but particularly not in one as large as a Bernese Mountain Dog. To avoid this, make sure you socialize your pup from a very early age. Take him to meet people of all ages, and expose him to as many new experiences as you can during that formative period between 8 and 14 weeks of age. Young adult male dogs are often like human teenagers. They both can have a mind of their own, and be resistant to being told what to do. This is often the case with this particular dog temperament. Prevention is better than cure, and if you teach your Berner that you are the pack leader, then you are less likely to have to remind him of this when he is an adolescent. That doesn't mean you need to be harsh with him, just firm, fair and consistent. 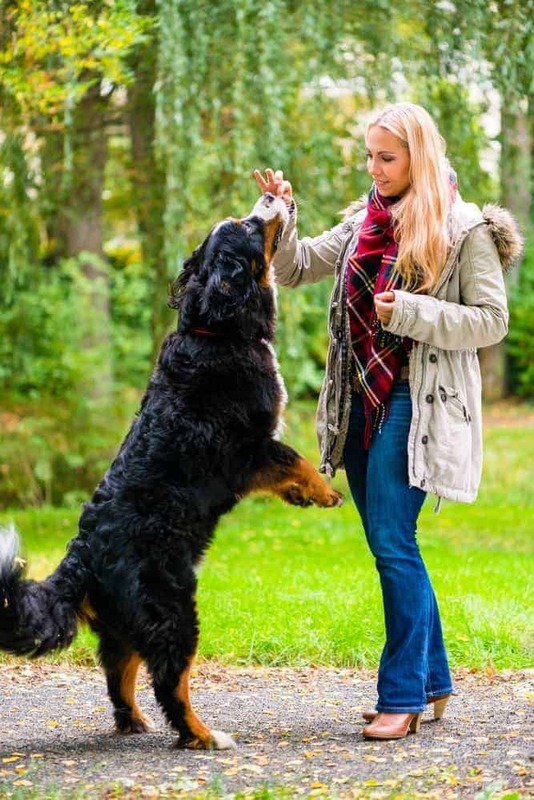 Another male Bernese Mountain Dog temperament issue that may cause problems is his tendency to express dominance and even aggression towards other male dogs. Again, early socialization with dogs of all shapes, sizes, and genders including the Bernese will help to prevent this. On the other hand, he tends to be rather sociable with other animals, so if you have a family cat, he will probably do well with it. Just be sure to introduce them first so that you know for sure. You don't want to sign all the papers, turn over the cash and bring him home – only to discover that he and the cat refuse to learn to live together! Digging can be an annoying part of many dog temperaments. The Berner breed originated in a cold climate, and so has a thick protective coat. If you live in a warmer area, you can expect your Berner to dig down to the cooler ground where he can lie down more comfortably. You can protect your lawn and garden from his attention by providing plenty of shade and cool water for him. Well, they can't help themselves on this one and you won't be able to train it out out them. The Berner has the potential for drooling. If you can't deal with a big, drooly, slobbery dog, then the Bernese is probably not a good match for you. The loyal Bernese Mountain Dog temperament means that your dog will bond very closely with you. He won't enjoy being outside for long periods of time; he wants to be with his family. Some Berners develop separation anxiety and become stressed when left alone. To avoid this, crate-train your puppy and teach him to enjoy spending time on his own. Provide him with interactive toys such as stuffed Kongs or Buster Cubes, and he won't be as anxious while you are out. Although it sounds like this dog's temperament can cause many behavioral problems, this is not actually the case. You can prevent any behavioral issues associated with your dog's temperament by raising, socializing and training him correctly from the day you bring him home. 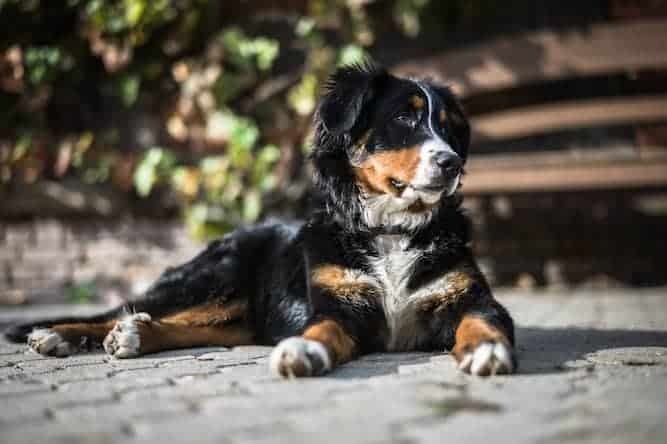 If you have time and space for a big dog that needs a lot of training while he's still young, then the Bernese Mountain Dog temperament will bring a great deal of joy to your life. Because of his larger size, the Bernese Mountain Dog's life expectancy is sadly only around 7 or 8 years. It's good to know this in advance, though, if this is a deal-breaker when you go to buy one of these dogs. And speaking of size, the Bernese is typically between 75 to 120 lbs., and between 23 and 28 inches tall. Of course, females are slightly smaller and thinner than males. Note: if you agree that your health and your dog's health should be a top priority then get a copy of The Ultimate Guide to Dog Health. Your Berner friend will love you for it. This guide will help save you money, time and most of all help you keep your dog healthy. Berners shed quite a bit on the regular, and they go through shedding seasons twice a year. Brush him weekly to keep him clean and looking his best. Work out any tangles with a metal comb or slicker brush (those brushes with the needle-like bristles). You must exercise your Bernese at least a half hour a day to keep him happy and healthy. He has a pretty high energy level, and if you don't help him spend his energy wisely, he will channel it into destruction. They love playing outdoors and joining you for hikes and long walks, but they are not to stay outside. In other words, don't just put him on a chain and leave him in the backyard. He prefers to be with his human companions whenever possible. You may think the Bernese's huge size disqualifies him from apartment living, but that's not actually true. As long as you give him the daily exercise he needs, he's relatively low maintenance and can handle an apartment just fine. So you've decided that you'd like to add a Bernese Mountain Dog to your family. Wonderful! 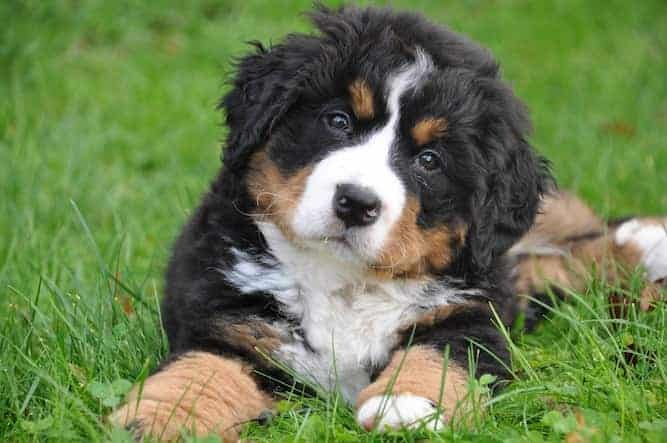 You can find a Bernese Mountain Dog for sale from a breeder, or adopt one through your local animal shelter. The average Bernese Mountain Dog price is between $800 and $2,000. The lower end is for dogs of a lesser pedigree, while dogs who are the children of show parents can cost much more. The price of the dog also depends on what a breeder decides to charge for it, as well as the breeder's location. A breeder who is the only breeder in the area to offer Berneses may charge more because of his or her rarity. If you want to adopt a Bernese Mountain Dog, there is a chance you may find one at your local animal shelter. Most dogs who end up in an animal shelter are not there for behavioral issues, but instead because their owners were unable to take care of them. In some cases, a family mayhave a new baby, and that baby is allergic to the dog. It’s heartbreaking, butthe family is forced to give their pet up for the sake of the baby’s health,and now he’s stuck looking for a new family. If you don't find a Berneseright away, don't give up. Animal shelters' “stock,” if you will,changes all the time. You just never know when a Bernese is going to walkthrough the door. An adoption is your best bet if you can't be bothered with all of that “training a puppy” business and would rather start with an older dog. An older dog is more likely to be trained, either by his former owner or by the shelter itself. 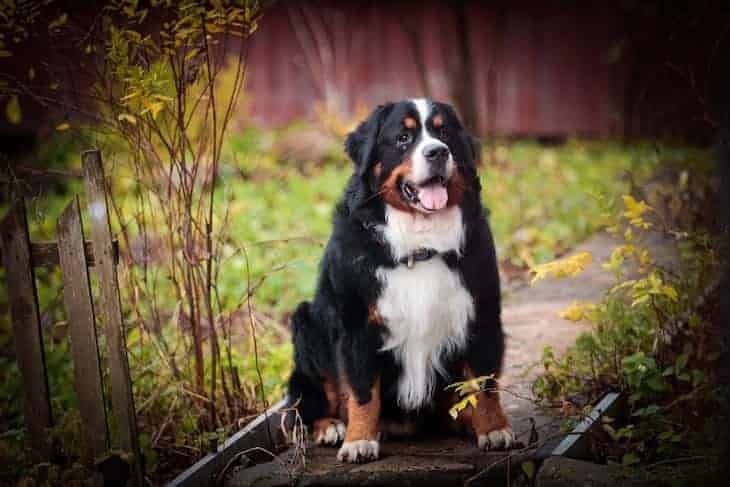 If you're looking for a good Bernese breeder, you may want to consult the Bernese Mountain Dog Club of America (BMDCA). A club that prides itself on advocating the breed, the BMDCA offers breeder referrals and a list of breeders local to your area. NEVER buy a dog from a puppy mill, pet store, or over the internet. You can’t trust that you’re getting what you’re actually paying for. Before you know it, you’ve spent thousands of dollars on a sick dog with a short lifespan, or a dog with uncurable behavioral issues. Find out all you can from a breeder on the puppy you’re interested in buying. Has he received clearance for the health conditions that plague this breed, like mast cell tumor and gastric torsion? Keep an eye out for anythingthat may be amiss on your visit to the breeder. For instance, if the breederkeeps his or her dogs in dirty and/or otherwise unfavorable conditions, this isnot a breeder you want to do business with. Conclusion: Why the Bernese Mountain Dog? 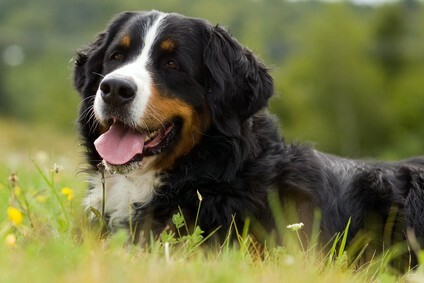 The Bernese Mountain Dog temperament makes him a loyal, gentle, and loving dog. His size also makes him a good guard dog. While he can do well with apartment living, and while he loves his family very much, you probably shouldn't get a Berner if you have small children. This is because he may accidentally knock over and injure a small child with his large body and cumbersome movements. If you like to do activities outside, though, he's your man. He loves hiking and camping and long walks. Just don't leave him out there – he loves nothing more than being with his own family. Like other large dogs, he doesn't have a long lifespan, so be sure to make every moment you spend with him count. And be on the lookout for conditions like bloat and mast cell tumor, which can shorten his already abbreviated lifespan. The Bernese Mountain Dog is a Working Dog. In other words, he is strong, with a bulky body, and he does best with tasks involving rescuing, pulling, and guarding. He is smart and resourceful. He is also a fast learner and makes for a great companion.